35 & 36 Weeks Pregnant | 9 Months Pregnant - Baby is in the Birth Position! It's hard to realize that nine months have already gone by and Welles will be coming into our lives very soon! Some parts of those months went by a lot slower or a lot faster, which was mostly dependent upon any symptoms I was feeling. However, I feel extremely thankful to have had such a healthy and normal pregnancy. Now we are in the home stretch! It was intensely hot in Portland this past weekend - triple digits! 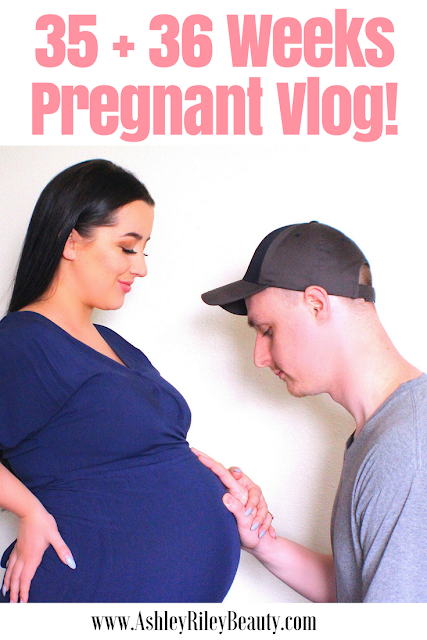 This update vlog is much more informal than all of my other pregnancy vlogs; it was too hot to film in the upstairs of our house (our AC was on the lower level) and I couldn't find the cord to my regular camera so I ended up having to use our vlogging camera. Welles feels very ready to be born! Check out the vlog below for a full update on the last couple of weeks. Mama's - let me know how your pregnancy is going or how you felt during your pregnancy during its last few weeks! Want MORE pregnancy vlogs? Check out my YouTube channel! Banana is not just a fruit you can add to your morning smoothie, it's also something you can add to boost your skincare routine. 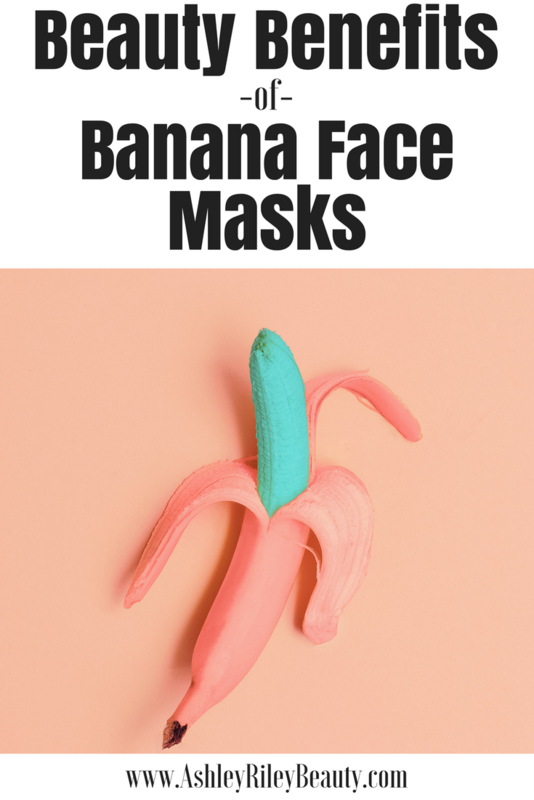 Bananas contain many vitamins and minerals that make perfect additions to face masks. Potassium hydrates and moisturizes, B Vitamins protect again free radicals that cause premature aging, and Zinc helps fight acne causing germs. These masks will help keep skin smooth and prevent unwanted discoloration, aging and acne. 1. Mash 2 tablespoons of banana into a small bowl. 2. Add 1 tablespoon of baking powder and 1/2 tablespoon of lemon juice to the banana. 3. Mix all ingredients together and apply to your face using your fingers or a mini spatula. 4. Leave the mask on your face for 10 minutes then rinse with warm water. 5. Repeat up to two times per week. 2. Add 1 tablespoon of honey to the banana. 4. Leave the mask on your face for 20 minutes then rinse with warm water. 2. Add 1 tablespoon of plain yogurt and 1/2 tablespoon of lemon juice. 4. Leave the mask on your face for up to 30 minutes then rinse with warm water. 5. Repeat up to 3-4 times per week. Rich in antioxidants, phyto-chemicals and moisturization, adding banana to your skincare routine will naturally nourish and revitalize the sensitive and delicate skin on your face. Its benefits don't stop at just face masks; add banana to your haircare routine and diet to improve overall health. Want MORE skincare advice and tutorials? Check out my YouTube channel! Coconut oil has become notorious in the skincare community for its naturally hydrating and moisturizing properties. It is a great natural alternative to skincare products that may come with a lot of unnecessary chemicals. Thankfully, there are endless uses and possibilities for using coconut oil in every aspect of your skincare routine. Below are my top 5 favorite tips for using coconut oil to achieve great skin! Coconut oil can aid in the visible reduction of stretch marks after pregnancy. It allows them to fade quicker by infusing moisture into the skin and helping to aid in healing. By exchanging coconut oil in place of regular shaving creams of gels you will help prevent ingrown hairs and razor burn. It will also add much needed moisture into your skin after shaving. Rub the coconut oil into your skin, shave, pat dry, and then rub in your normal body moisturizer. For an all natural lip balm alternative simply rub a small amount of coconut oil onto your lips. It will naturally soothe your cracked or dry lips. Plus, there are plenty of recipes out there for adding flavors like lavender or mint to make your own DIY lip balms! Coconut oil is a great makeup remover specifically for the tough, dark makeup that we tend to place around our eyes. Coconut oil is perfect for people with sensitive skin because it shouldn't irritate the eyes area. As an added bonus, coconut oil will infuse hydration into the entire eye area, meaning less wrinkles! 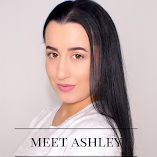 To add a little more coconut oil to your skincare routine check out my recipe for Simple Natural Coconut Oil Face Wash. It's easy to make your own DIY body scrub using coconut oil and brown sugar. It's the perfect way to remove an old self-tan or simple remove dead skin cells to reveal healthy, soft and smooth skin. Simply mix two parts brown sugar to one part coconut oil in a small bowl and apply to your skin. A great recipe to check out is my own recipe for Natural Coconut Coffee Anti-Cellulite Body Scrub. 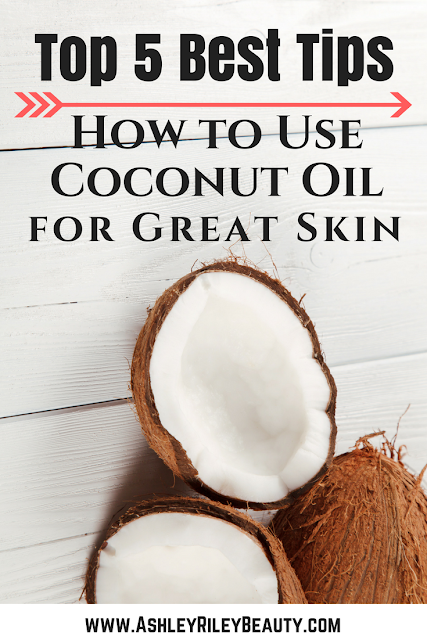 You skincare routine can be transformed using coconut oil as a substitute for many daily skincare products. Let me know the other ways you have loved using coconut oil!